This article contains steps to install xPortalNet software. Please check the machine to install the server meets the requirements as stated in System Requirement for xPortalNet software. *Refer to the Brochure attached at the end of this article. 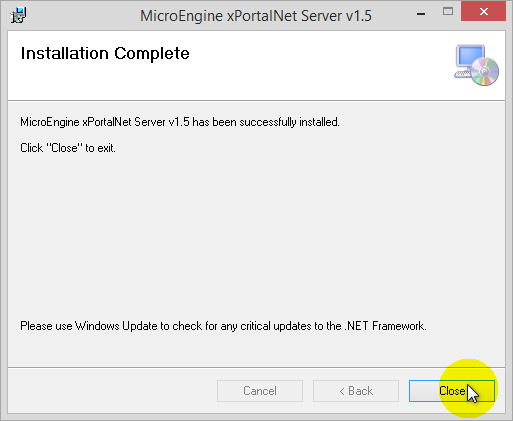 Install the Microsoft SQL Server Management Studio. Plug in the license key - xPortalNet USB Dongle/ xPortalNet MCI Dongle (Optional). 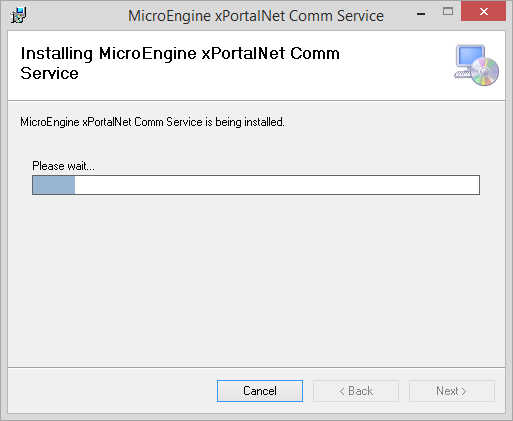 Start the xPortalNet installation. Run the installation CD. The installation consists of xPortalNet Service, Server & Client. 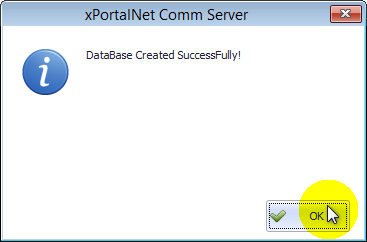 Run the xPortalNet Service to initialize the database. 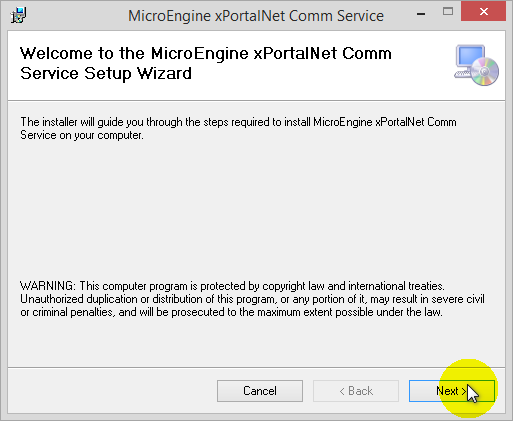 Watch this video guide for full xPortalNet Installation Setup. 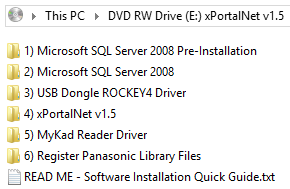 Select the software to be install from the Installation CD. 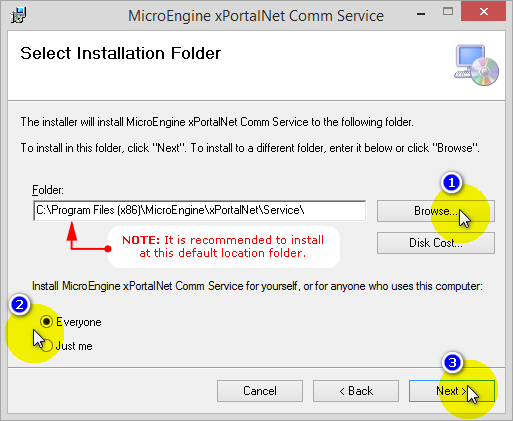 Open the xPortalNet Installation CD. The following files will be shown. 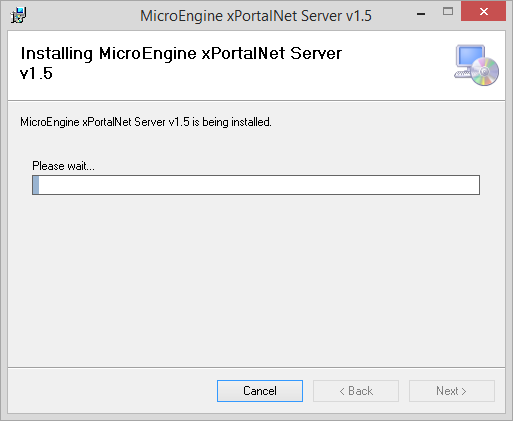 Open the xPortalNet v1.5 version that you wish to install. This is the steps to install the xPortalNet Service. 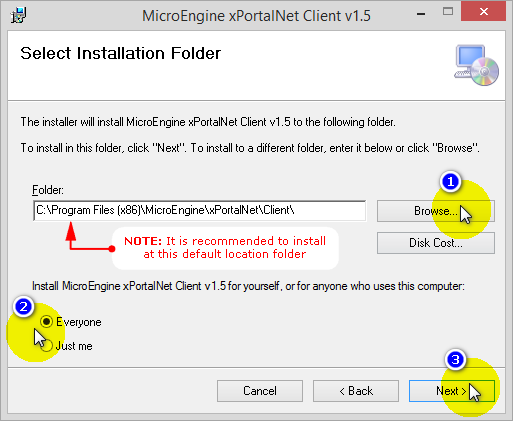 To start the installation, open the xPortalNet Service version folder that you wish to install. If Server PC's OS is 32-bit (use x86), if 64-bit (use x64). 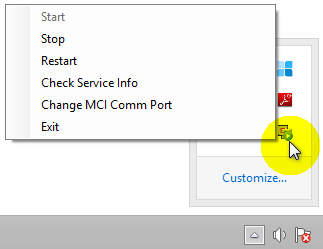 Right click and select Install on the xPortalNetCommServiceSetup.msi. The following windows will be shown. Click Next to continue. At the License Agreement page, please read the License Agreement carefully. 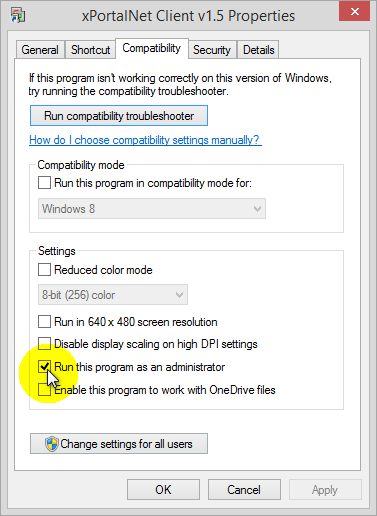 At the Select Installation Folder page, browse the installation folder by clicking the Browse button. Select user that is going to use the xPortalNet Comm Service. 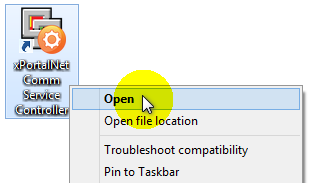 It is recommended to install at the default location folder. 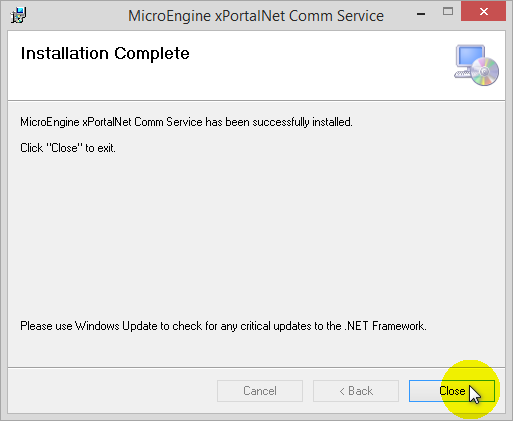 At the Confirm Installation page, click Next to start the installation. Wait until the installation to complete. At the Database and Log Files Location windows, just leave the setting as default and click Save. You should see this page when the installation is complete. Click Close to finish the installation. This is the steps to install the xPortalNet Server. 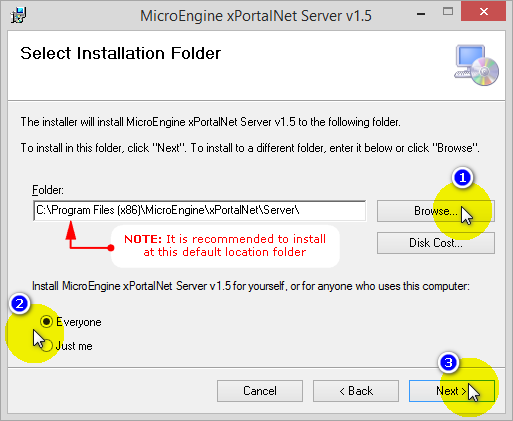 To start the installation, open the xPortalNet Server folder. Right click and select Install on the xPortalNetServerSetup.msi. 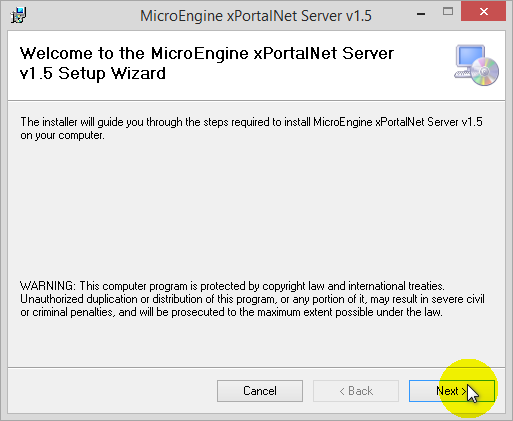 Select user that is going to use the xPortalNet Server. This is the steps to install the xPortalNet Client. 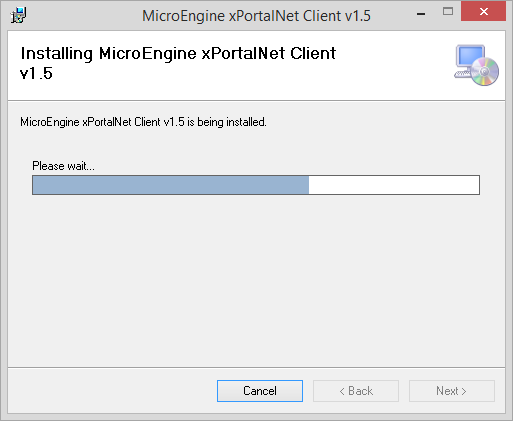 To start the installation, open the xPortalNet Client folder. Select user that is going to use the xPortalNet Client. Run the software as Administrator. See Software compatibility issues. 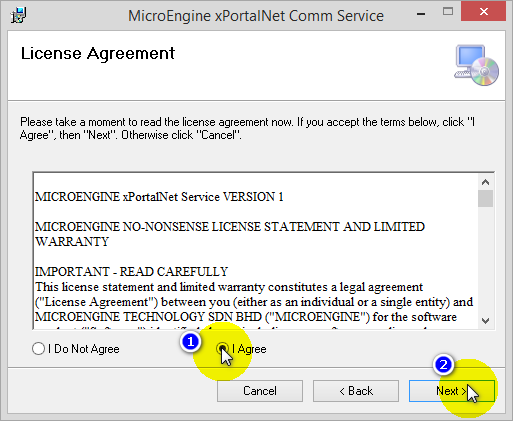 Right click the xPortalNet desktop icon › Properties › Compatibility tab. To view the service status, right click the xPortalNet icon. 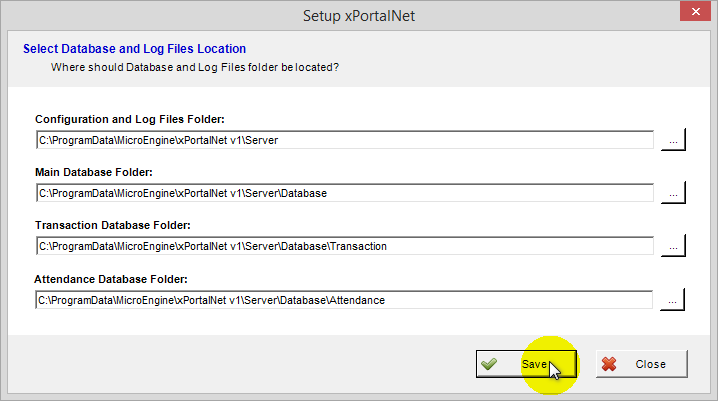 Run xPortalNet Server to initialize the database. Fields that are boxed in red must be filled up. Make sure the Server Name is similar to SQL Server Name. To check your SQL Server Name, run the SQL Server Management Studio. Copy the SQL Server Name in the SQL windows. 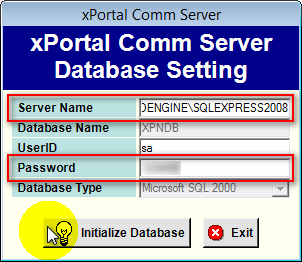 Paste the SQL Server Name at the xPortal Comm Server window. Password is the same as the SQL Server password. 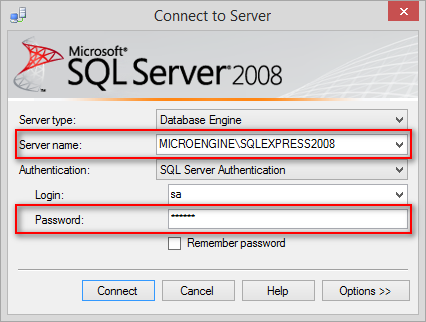 The password is created during Microsoft SQL Server 2008 installation, see How to install Microsoft SQL Server 2008? for the installation step. Click initialized database to continue. Wait until the configuration finished. You will see this pop up message after successfully initialized new database. 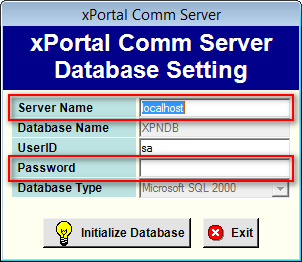 Login to xPortal Server and xPortal Client accordingly. 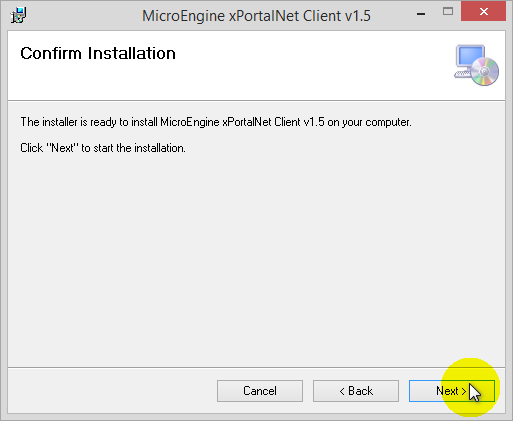 Summary: This article contains steps to install xPortalNet software.